Mikey: With VH1’s Hip-Honors 2010: The Dirty South right around the corner, we hit up Houston’s Paul Wall to share some of his most memorable grill stories. Along with his new album, Heart of A Champion coming on June 29th, and his clothing line, Expensive Taste, Paul has always been and still is the go-to-guy for teeth jewelry, crafting one of kind pieces for rappers from all coasts and regions. So who were Paul’s most memorable mouthpieces? 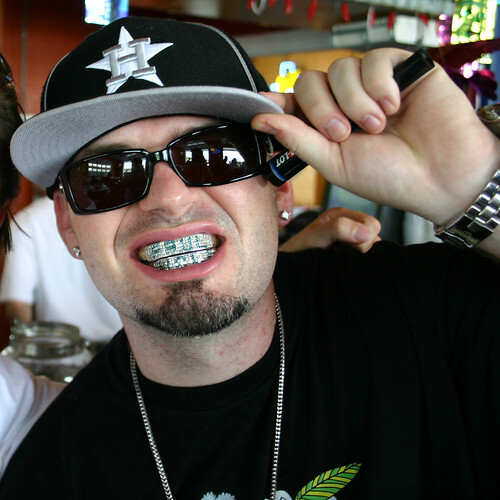 Paul Wall talks about Nelly’s blue-teeth and the grill that put his business on the map…. houston fell off hard btw. it’s like h-town’s been soft ever since slim thug got jacked for his pseudonym. Hey Info, I love these stories about the Jewelry! I know you’re super busy but maybe it’s time for another book? 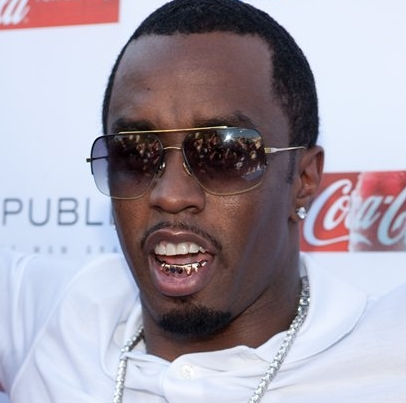 Hint.. hint..
a 40yr old man should not be wearing gold fronts…..period! Yo I was following the Jeweller @TVJohnny on twitter, pic with Paul Wall the Peoples Champ, and TV Johny’s english will give you too many wtf moments lol. He’s a dope jeweller though. the problem with most of these new jack southern idiots is that they have no knowledge of hip-hop the culture. for the record… wu-tang did fang fronts mid nineties while you all were enjoying your pork chops. let me know when rap music will be using english again. this is true. technically it was Gravediggaz and RZA but yes. however, I don’t think Jon and Paul were up on that. True. My boy came back from New York in the 9th grade with a grill with fangs. 1994. Yo Info whats wrong with these dudes Slick Rick had fronts in the late 80’s. I remember the days when braces were for nerdy white kids only. A lot of people hated this about the south but when Slick Rick or Big Daddy Kane had gold teeth it was cool. paul wall is a worm. Just-Ice, check the cover- Kool & Deadly 1986 or7 …. But, they didn’t have diamonds in their grills. That’s the point he’s makin’. That was the first..
You ballers is tex…state fair cowboy..